A fresh and healthy, vegan, mexican meal. Start by adding your spices, coriander stalks and spring onion to a pan on medium heat with a good amount of olive oil. Fry gently until fragrant then add your jackfruit and cook gently for approx 15-20 mins until soft and tender. Then add the coconut coconut sweet chilli and honey and stir in creating a nice caramelisation. 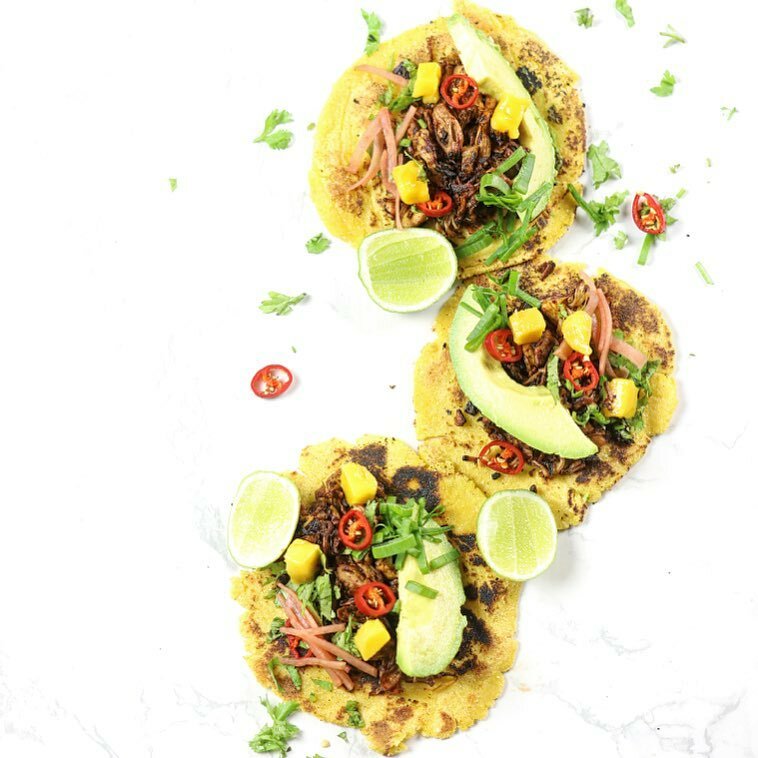 Next heat your tacos or tortillas and once hot, serve with your tacos, diced mango, chopped pickles, sliced avo, sliced red chilli, coriander and a squeeze of lime.